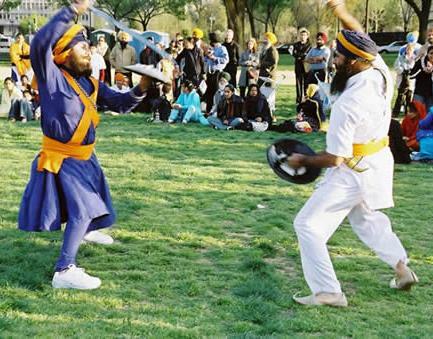 To preserve and promote traditional games, the state government has announced the inclusion of sports like gatka in schools and colleges’ curriculum. Deputy Chief Minister Sukhbir Singh Badal has announced sports to be a priority area in the SAD-BJP’s agenda for the governance. Encouraged by the state government’s decision, the Punjab Gatka Association (PGA) has requested Sukhbir to include gatka and other traditional games in the gradation list of the state Sports Department. PGA general secretary Harjeet Singh Grewal, also the DPRO (Rupnagar), said the state Education Department had already initiated steps to incorporate gatka in the schools, colleges and universities' sports calendars and would also soon organise inter-district Gatka competitions. Besides, universities from the state were also organising their inter-college gatka competitions. Grewal said the PGA had recently organised the first Punjab State Open Gatka Championship at Mohali and the National Gatka Championship was now scheduled to be held in May at Sangrur.